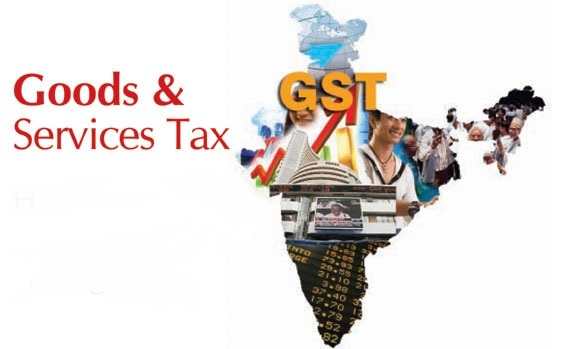 India’s most radical tax reform since independence has brought cheer for some businesses which are finding it easier to move goods across state borders and have also discovered that the implementation of the new regime has actually brought down the tax expenses on their produce. However, not everyone has been so lucky. There are businesses that are having to bear the brunt of increased taxes, and that too, on the inventory purchased before July 1. This means they are selling the products at the same price, but are absorbing the higher tax costs. One of the business segments which have benefitted the most out of GST is in the services sector, ie, Logistics. The removal of check posts at state borders has dramatically reduced the time and costs to move their trucks across the country. Moreover, come January, and all the formalities of moving goods will shift online in the form of E-Way Bills, which will lead to further smoothening of goods from one state to another, and will eliminate cumbersome paperwork. Among others, quick service restaurants and entertainment venues such as theme parks and cinema theatres are cheering the onset of GST, as the effective tax on them is now lower than the combined tax incidence earlier. Not only this has reduced the consumers’ bills, but there is hope that it will lead to increase in business. Moreover, small businesses, notwithstanding the move to a more computerised ecosystem, which they might be tempted to resist initially, have much to benefit from GST. Businesses with annual turnover of less than Rs 75 lakh are allowed to register in the composition scheme, under which they would have to file only one return every four months. This scheme is applicable to startups involved in goods and restaurants. For even smaller service providers, GST is proving to be a boon. The turnover exemption limit for GST has been set at Rs 20 lakh per annum, which is double the earlier limit of Rs 10 lakh for service tax. This has meant that more small service providers are now not in the tax net at all. On the other hand, small manufacturers are the ones bearing the brunt of the same turnover tax limit. The earlier turnover exemption limit for excise registration was at Rs 1.5 crore per year. Most of those businesses would now come under the GST net with their turnover crossing Rs 20 lakh. Textiles and apparels makers have had to suffer not only the increase in tax on a lot of their products, it has also resulted in a massive exercise of adjusting the tax rates on each of their items according to the new rates. Moreover, since the clothes shipped to the retailers and merchants already carry a price tag, those are being sold to the consumers at the same prices, with the manufacturer or the merchant bearing the higher tax burden. Luxury services, such as five-star hotel accommodations, which have been put in the highest tax slab of 28% under GST, may also suffer a dip in business, as the new tax rate, coupled with increased compliance burden may lead to inflated bills for consumers.